Stanley K. Barth - Andrews & Barth, P.C. Stan Barth’s experience in representing developers, owners, purchasers and investors in real estate transactions throughout the United States extends beyond 30 years of service. Stan and his team at Andrews & Barth have represented clients based in the Dallas/Fort Worth SMSA as well as those with a national presence. Stan’s experience covers a wide variety of real estate product types with geographic diversity. 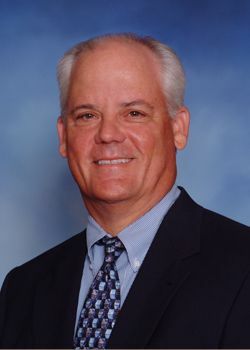 Stan has represented clients in the development, re-development, financing, leasing, acquisition and disposition of major retail facilities (the largest of which was a power center of 114 acres of land and approximately 1 million square feet of lease space), industrial projects, office developments, mixed-use communities, portfolios and multi-family projects. One client has invested in more than 200 individual transactions representing assets totaling more than $3 billion. Being the Client’s team member and not just a third party consultant. Being an ambassador for the Client, seeking to help build and foster good business relationships. Being a gatekeeper for the Client, keeping watch over and filtering the decisions and actions of those carrying out the Client’s business to help assure quality control and achieving the Client’s business objectives. Being a mentor to help build, encourage, teach and train those employed by the Client. Chairman of the Board, ROD Prison Ministry, a prison ministry serving in the prisons and continuing to closely walk with its clients after release. Not only does Stan serve on the Board, but he is now in his second decade of being a faithful volunteer serving weekly in one of the prison units and forming personal relationships with ROD clients. Co-Founder of Mission Marketplace, a ministry to encourage small groups of men to meet weekly with the focus of carrying their faith into the workplace and witnessing their faith by the manner in which they conduct their business. Board of Directors, Dallas Real Estate Ministries from 2005 to 2011.